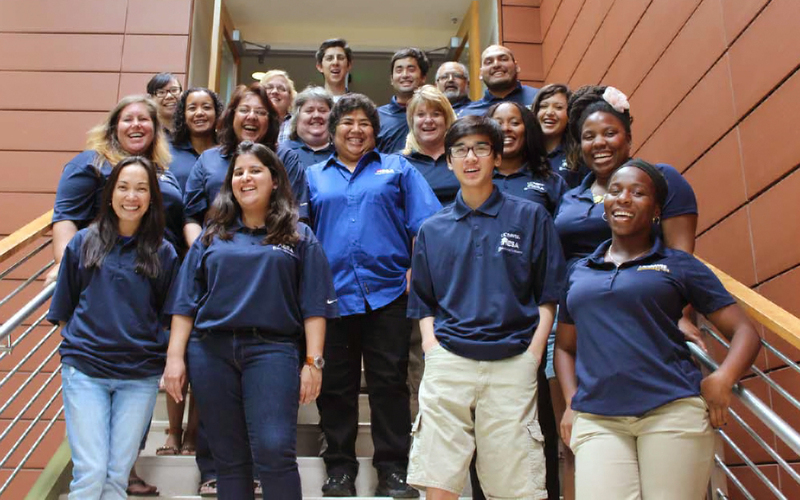 MESA Ambassadors are volunteers from the community that conduct outreach for the UC Davis/Sacramento State MESA Schools Program. We're always looking for college students like you to mentor K-12 students and spark their interest in STEM fields. We are actively seeking representatives from STEM industries and university student organizations to serve on our Industry/Leadership Advisory Board for the 2018-19 academic year. As a board member, you will build relationships within the community to help build scholarships and potential career and mentorship opportunities. If you are interested in serving on our Industry/Leadership Advisory Board, please email us with your company or organizations name, contact information and ways your company can participate in community outreach to our school sites. Board members are expected to attend quarterly meetings on the UC Davis campus. If you may be interested in serving on our Industry/Leadership Advisory Board, please email: mesaschools@ucdavis.edu with your company or organization's name, contact information, and areas that your company can incorporate community outreach to our school sites. Advisory Board Members will be expected to meet quarterly on the UC Davis campus.